All right, welcome back to another episode. 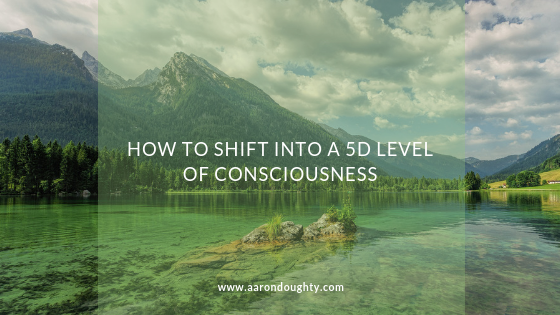 My name is Aaron Doughty and today I'm going to be sharing with you exactly how you can shift out of 3D reality and into a 5D level of consciousness. I think that this is going to be a very transformative experience for the both of us because I'm going to be kind of going deep on some things that I haven't shared before and I think that just from knowing some of the things and being aware of some of the things I'm going to be sharing, it's going to make it very clear to you that you get shipped out of that of the 3D duality, reality, the red it into 5D now. You might be asking yourself right now the 3D reality. What is that? What is this 3D? What I don't even understand isn't everything. 3D, it's like a pop-up book or it's like a 3D movie. Isn't everything 3d? Well, when we're talking about consciousness, let's understand that we came to earth at this time because there is a shift in consciousness happening on the planet, whether we're aware of it or not. It's happening and more and more people are waking up to it and over the next 10, 20, 30 years, however long it takes, more and more people are going to be waking up to who they really are. Waking up and understanding that we can move out of this 3D reality and into this 5D reality, which both exists right now. There are times in my day when I am in a 5D level of reality and their time of my day when I might be in a 3D level of reality. It is something that we're constantly shifting back and forth with, but because I have a feeling that you might be like, oh, can you explain this whole 3D thing a little bit more? Let me explain it to you. Kind of like this. We already mortal spiritual beings live in temporary human experiences. I know it's kind of a lot to throw out there. It's kind of a bold statement, but it's true. I feel like I got to be authentic about it, you know? So, afraid to say that for so long, but now I feel like it just says it. You will always exist because energy cannot be created nor destroyed. It's simply is you exist. You will always exist. You're simply changing your perspective from maybe certain mode, certain vibrational states of consciousness, however, you feel what are ever you are identifying with. But let's understand 3D and 5D and 3D is about understanding. Think of 3D, as the solar plexus. Think of it in that form of the shocker. It's like solar plexus represents like willpower. Solar plexus is like a that have that. That's kind of how far we take it in 3D is we're mastering the willpower or mastering understanding certain ideas. And in 3D in general, the 3D reality is about duality. It's about left brain, right brain. It's about up and down. t's about light and dark, negative and positive. It's about all these different things. These are all different versions of duality with this polarity that is there, and duality is the theme of 3d third dimension type consciousness. Think of reality in a way like a game like we exist and we are immortal. Spiritual beings live in temporary human experiences and in our natural state we are unconditional love and bliss. That's just who we are. Okay, so then we come into the earth. We get into this avatar body and there's this veil of forgetfulness. When we come to Earth, we forget that we are immortal, spiritual beings of contemporary human experiences. Knowing that one of the purposes in life is for us to remember that this is who we are, so we forget that. We're like, okay, I'm going to come here. I forget that. I am living life. My name is Jane and my name is Joe. My name is Harold, whatever the whatever our name is. My name just so happens to be Aaron. And the idea is that we play this part and one of the purposes of life is to remember that it is just a part that we are immortal, spiritual beings and we existed in love and we are all connected. This is a higher level that I'll get into in a minute, but there are different levels to this game. One of the levels is that of duality. Just like Einstein said, Einstein said it in Einstein knew a lot of cool stuff. Let's just listen to Einstein. He said you cannot solve the problem from the same level of consciousness or the same level of thinking from which the problem was created. In order to transcend that, have 3D, we have to move beyond 3D. Think about it. 3D is light and dark, good and bad, left or right up or down. All these different ways of thinking. In order to transcend it, we have to just observe it and be aware of it. It's not to like feed into certain perspectives. It's not to necessarily keep the game going and to feel entrenched in it. And a lot of our attention, if you look in the media, you look at the way the current 3D society is ran. When you look around, it's all triggered and it's all made to trigger you into perceptions of 3D reality. Look at this, that's going on in this place. Look at this. Did you hear about what this person said? Did you see this person's twitter account? Omg keeps people triggered into the lower vibrational states of consciousness that keeps them in duality. That keeps them in the reaction mode, and that is 3D now, 3D in general, some of this is like the 3D level of reality. The reality in a way what science is showing us is that reality in a way is like a simulation. What that means is that we have in a way logged into the game of life. We are thinking about it. We're immortal, spiritual beings living a temporary human experience. We have just been chilling as unconditional love. We've been chilling in the higher dimensions or thought and things that we want instantly manifest. We don't have to wait for things. That is who we are at our essence in higher dimensions, but what we decided to do is we said, you know what? This is fun and everything, but let's make it more challenging. Let's have it so that we don't instantly think and then things appear. Let's have it to where there's a little bit more challenged so that we know that if we can move through this and remember who we are, then that says a lot about who we really are. We want that challenge. If you've ever played a video game maybe and you have all the cheat codes and you just demolish everything. I remember when I was a kid I was playing grand theft auto, which is where like you go out and you just do the most wretched things. You just go and hit people and do random things in society. Things that you maybe wanted to do just for no reason whatsoever. You can do that in this game and there are certain cheat codes you get to where you can just do crazy stuff. Like all of a sudden, you peer with a tank. We say let's create this reality called Earth. This 3D reality where you forget who you are. One of the purposes you have to remember who you are and there's going to be different levels and when you get to certain levels or certain things you learn and that as you move through it, you raise your vibration. You feel closer and closer to your natural state of who we really are and let's throw in this element of time because, in this higher dimension, things instantly appear. No spending at this time so that we have time to cultivate our manifestations. We can think about it. We can know if we really want it. We can let go of the outcome. We can experience it more in a present type way. We set up these game to this. We set up the rules to this game and in the 3D reality, it's about understanding control, understanding, willpower, understanding and taking action, understanding a duality, good, bad light, dark. All of these things being attached to thinking you can think of 3D as the ego and being identified with the ego and what's happening now as people are waking up and realizing, hey, I don't get to be this ego structure my whole entire life. I can be present to the moment and in the 5D level of consciousness where everything is amazing, where I feel phenomenal. Well, guess what? In a way, think of it as 3D, 5D, 3D level of consciousness is more about control. It's about control of the government, these positionalities of victim and Predator, Predator or a victim. You're either the person that's going around and harming other people or you're on the other side of it and you're the victim. There are these different stories that are playing out. There's a different level of control that may have happened when it comes to that of the control of society. Maybe you say, Oh, look at that media. It's controlled. What about the Illuminati and that person that bailed out by our gardens and all of these people behind the scenes pulling strings? That's all 3D, we are transcending the 3D reality. We are moving from 3d into 5D. now. If we remain in the autopilot mind, we remain asleep to understanding that we are more than the ego. Then we remain entrenched in the old reality, but what I am sharing with you right now is that you can shift from the 3D level of reality into a 3D level of reality. Let's talk about 5D for a minute. 3D is about control. 3D is about duality, good, bad, light, dark, all these different positionalities 3D is about the ego and what are we moving into now? 5D level of consciousness is more about unconditional love. Understanding that our basis is we are unconditional love and bliss. We can assume that. We can observe our thoughts from a neutral perspective. We do not have to be controlled by the ego. We can observe the ego, we can understand that we are all connected, that we are meant to be creating heaven on earth, that that is what we are bringing from a 5D level of consciousness, understanding that we are already whole and complete. We can shift from having and doing of the 3D reality into being now in the present moment and the gateway to this 5D reality is letting go, letting go of the ego's need to control, letting go of attachment to lower emotion, letting go to lower vibrational states of consciousness, letting go of positionalities of this person did this to me and I feel justified in this perspective and what we can now learn to do is to let go of all of that and as we let go with awareness, we move from the red level of consciousness into the 5D level of consciousness, which is who we naturally are. This is where we merged with our higher selves, with the awareness that we are this high vibe state. Naturally, this is when we move in from being written reaction into being present to the moment. Right now. This is when we look around and we look at these people that we call avatars of our time. We look at Jesus, we look at Buddha, we look at Greece. We look at all these people. We say, oh my God, aren't they amazing? But all they were is they were themselves completely embodied in their 5D or higher level of consciousness and right now on the planet. What is happening is we are shifting collectively from the 3D avatars, the 3D avatars of experience and into a higher-level state of consciousness, and this higher level of state of consciousness is us embodying our avatar self. The second coming of Christ is not actually literal. It is a metaphor for understanding the second coming of Christ consciousness which exists within every single one of us right now. He said, the things that I can do that I can do, and you can do even greater things, but sometimes people don't want to hear that because then it means that they have to take their power back. It means that they have to understand that they are that which they seek and other people or in this idea of this metaphor, this symbol that we use of certain characters. We can look at Buddha, but understand that Buddha consciousness is within. We are all in the aspect of this divine consciousness. We are all in the issue of this one single point of source energy. We are unconditional love and bliss playing the game. This fragmented game of separation where I look around and say, oh my goodness, this is who I am, but that is just when the ego's Avatar's perspective. What we are learning to do right now is to shift from the 3D level of being in reaction to the environment. The 3D level of being, the Avatar, of being in reaction to everything and then moving into a 5D level of consciousness, of allowing the present moment to be of being here and now moving from having to, doing into being, moving into the present moment and the gateway to get there is awareness and letting go. That is the ability that we all have right now to shift into this level of being. The 5D reality exists right now on earth. We many times in back in the day when this information was first coming out, a lot of people thought 3D, 5D. there's this split that's going on. This split is then eventually you're not going to be able to talk to people in 3D if you're in 5D doesn't be this split and there's going to be this dramatic thing that happens. This split is a metaphor I am right now in this 5D level of consciousness given you this information. However, I'm going to go to the gym and a couple of hours when I go. If I were to get in reaction to my environment. If someone were to come over and Jim, Joe, Bob, or to take my bench set when I was getting ready to bench now's it'd be like, that's bad. You shouldn't be doing that. Jim, Bob Guy. You'd taken my bench. Then I'd be more so in 3D reality, but then maybe what happens is I shift back to 5D reality when I become aware and I remember, hey, this is all a game anyways. I still got a couple of sets, slept and I can just allow it to be and do my thing or I can be entrenched in, in. I can really get ingrained in it in all my perspective of this is who I am and being identified with it and I can let myself raise back to it. But here's the thing. What is happening on the planet is people are shifting from the 3D level of consciousness into 5D. It is happening right now and it is like a glass wall that we can look through. I don't watch the news because the news will trigger people back into the 3D reality, so what I choose to do is to not watch the news. Sometimes people might be like, well, okay, so there are still these things going on in the world. There is still. This stuff happened in Syria, there's still this happening in Iran and all the. I get it that it's happening, but it's not a part of our experience unless we perceive of it. Unless we are entrenched in it and attached to different perspectives of it. Everything is working itself out and when we are tuned to it, if we're attuned to it in the way that it is a problem, we see it as a problem. It is not supposed to be there. Then we create resistance and we actually end up feeding that reality more than we realize. This is about observing, observing, and observing. We start to take our power back when we are aware of what is happening, but not in the reaction mode. When we create resistance and we actually end up feeding that reality more than we realize. There is power there, but the other thing to do is sometimes it's not relevant. It is not relevant for me to watch Fox News, CNN or whatever is out there. It's not relevant for me because my purpose is different than that of the media, which I think is mainly have a certain agenda that's behind it, of keeping people entrenched in this 3D reality and maybe that's just a belief I have. I don't know, but I choose to just focus on what really matters to me. What matters to me is helping people to shift out of this 3D level of consciousness of being identified with the Avatar that they've agreed to, that they kind of incarnated into this system with and reminding them and saying, Hey, I know you've been living your whole life as this avatar thinking that you had to be in reaction to the environment, thinking that you were your past experiences, thinking that you were your thoughts, but in actuality you are so much more. Not only are you more, but you are unconditional love and bliss. You are an immortal, spiritual being, living in a temporary human experience. 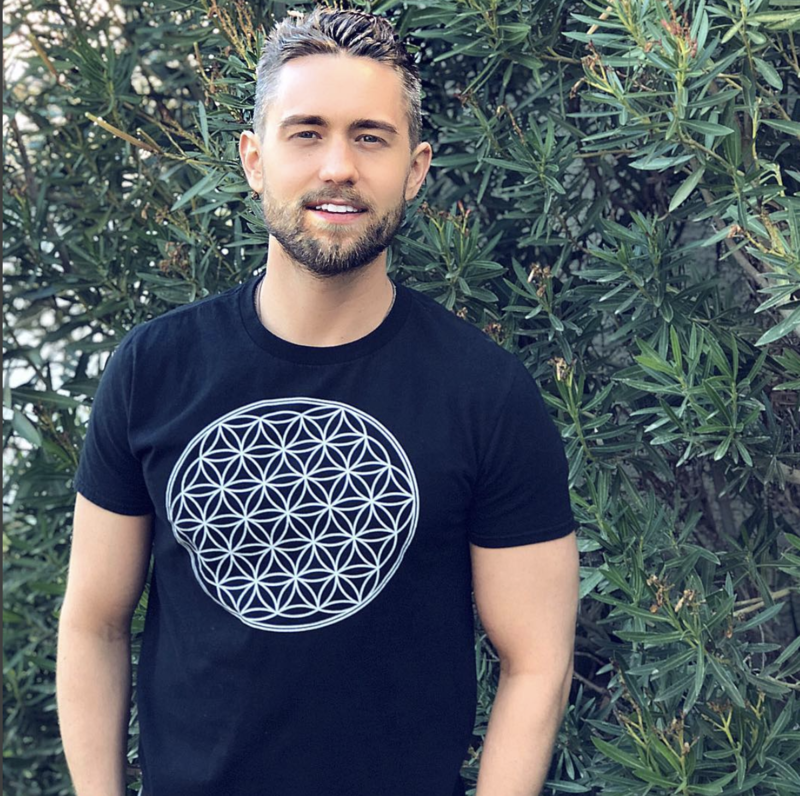 You have simply loved into this game of life to have an experience, but right now you are raising your vibration and as you raise your vibration, as you become more aware of this 5D level of consciousness, you are shifting your life experience. You are experiencing the shift right now. Even as you listen to me right now, you are shifting your consciousness. You from this point going forward, we'll go about it in life and realize this 3D, 5D doesn't mean you have to throw labels on everything, but like, oh, that person over there, there is obviously the 3D level of consciousness. That person over there is 5D, I'm going to go talk to them, but you will be more aware of things from this point going forward in this new level of consciousness because you will realize that it is a game. It is a game that you've decided to play. You might be interpreting your reality through the five senses. You might be interpreting reality as your Avatar, but the key is knowing that you are so much more. You are so much more than this avatar. You are so much more than what you think that you are. The other thing that's happening is as the vibration on the planet changes, manifestation also is quickening. You may notice that if there's something that's in alignment or out of alignment, you figured that out very quickly because the vibration on the planet is raising, as the vibration on the planet raises more and more people are busting out of their ego and into this Vibe d level of consciousness and it is happening right now. More and more people are becoming aware of it and as time goes on, it will continue to happen more and more. It's about being aware of that. It's about understanding that this is what is happening and that things will continue to speed up, but you just have to allow them. You have to be clear. Are you in alignment with who you are meant to be? The way you know that is, are you doing what you're passionate about? When you are doing what you're passionate about, you are living as your higher self because your body's translation of passion, your body feeling passion is your body's indication telling you, hey, you're in alignment with your higher self. You're doing what you're meant to be doing right now. As I film this, I feel in a very high vibe state because this is what I'm meant to be doing in life. This is about understanding that awareness and understanding who you are and following that passion and understanding that life, in general, is so much more than you can even imagine. But remember you cannot solve a problem from the level of consciousness. The problem was created and you cannot figure out 3D and You cannot. You have to transcend 3D and the way you do that is by observing your thoughts, understanding that it's all a game anyways and moving from the lower vibrational states of consciousness into the higher ones by letting go. The gateway is letting go. Some people say, well, what's 40 colleges? As you talked about throwing a huge party, but for three days it was 44. D is like that, you can think of it as time the of his time. That's all. Let go, let go of time and be present to the moment though, and that's the gateway. The gateway from three to five is awareness and letting go and as you let go of control, as you like to go positionalities. As you let go of having to be right, you start to exist more in the present moment and in the present moment is where things begin to happen. What I want to say to you right now is congratulations because you are making the shift in consciousness. If you're even perceiving of this and I am also creating the shift experience which is this, everything I'm talking about in this episode is going to be something that you can experience in that of a course, a digital course. It's not just theoretical ideas. This is an actual experience that's as meditations and different ways of moving through your own consciousness and this will be available within the next couple of months. If this is something you are excited about because you do me a huge favor because you go to my Instagram just like go to my news photo, just like click on the photo and be like, Hey Aaron, I'm ready for this shift experience. I just need a new podcast. I that was really dope. You just let me know. The reason I say that is because then I know that you're on the podcast right now. You see, the thing is iTunes, it doesn’t have this analytics like YouTube, so I don't know how much you liked these episodes. Do I keep doing them? Do I just do one a week? Do I do two a week? Do I do three times a week? How many times a week do you want me to do this kind of stuff? Let me know because if you let me know when I can do more. I can kind of gauge it off that, but if you're also ready for the shift, let me know my news, Instagram posts because I see stuff there because Instagram is more like in the present moment and it's easy to see the captions or the comments, whereas an iTunes totally different story, so if you want to experience those shifts let me know on Instagram and my newest post, you can go there.